Wellington is the capital of picturesque New Zealand, which has been named the world’s “Coolest Little Capital”. The cosmopolitan is famous for it’s internationally recognised coffee culture and world-class culinary scene. 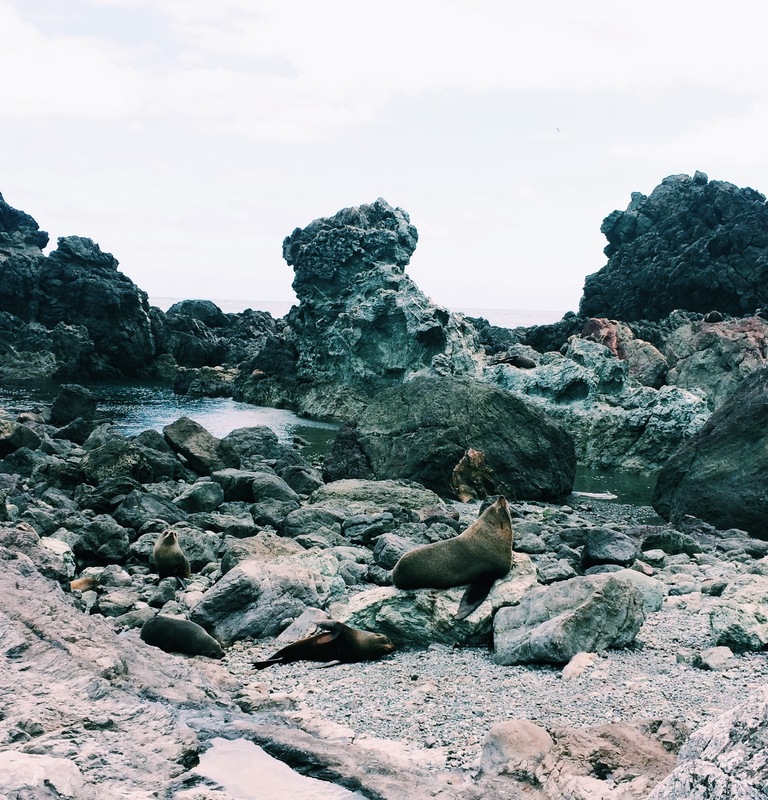 There are various free things that you can do in Wellington even if you stay there for a day. I’ve been living here for a year and decided to make a list of free fun things to do in Wellington. The vibrant and creative city never sleeps, it entertains citizens and tourists with numerous activities, like national museums, theatres and galleries. It offers a magnificent outdoor lifestyle and incredible harbour side setting. 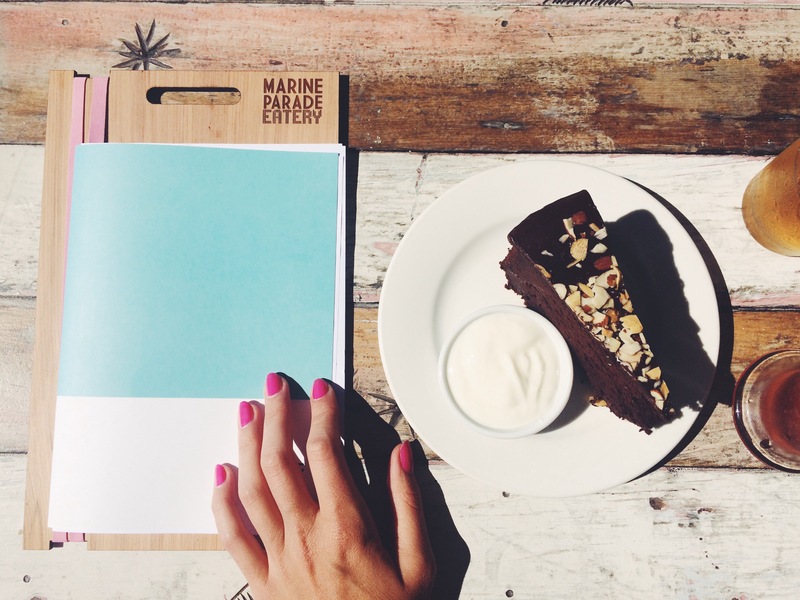 It is easy to explore on foo so just take a walk along the waterfront and enjoy a coffee in one of the cafés. 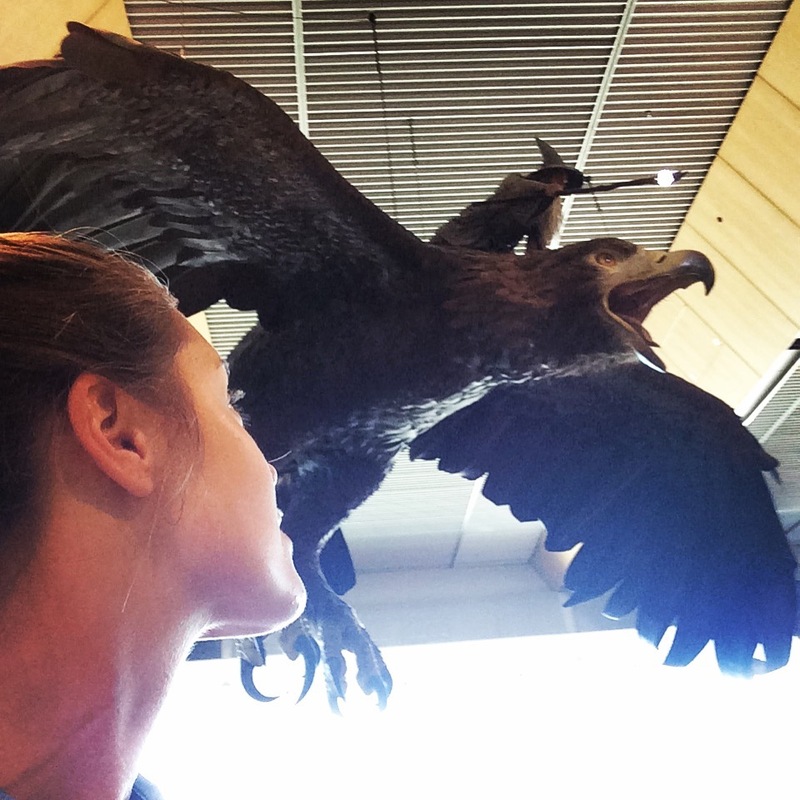 The first free museum of the cool capital is the gorgeous airport of Wellington located in suburb of Rongotai. It’s small but you will see the main heroes of the movie “Lord of the Rings”. You won’t miss them because they are huge. The best way to get to know the charming capital of New Zealand is to visit Wellington’s free museums. Amazing Museum of New Zealand Te Papa Tongarewa with it’s famous exhibitions like Te Papa Gallipoli situated on Wellington’s waterfront. It’s an innovative and interactive national museum where you can experience the whole New Zealand in one building. 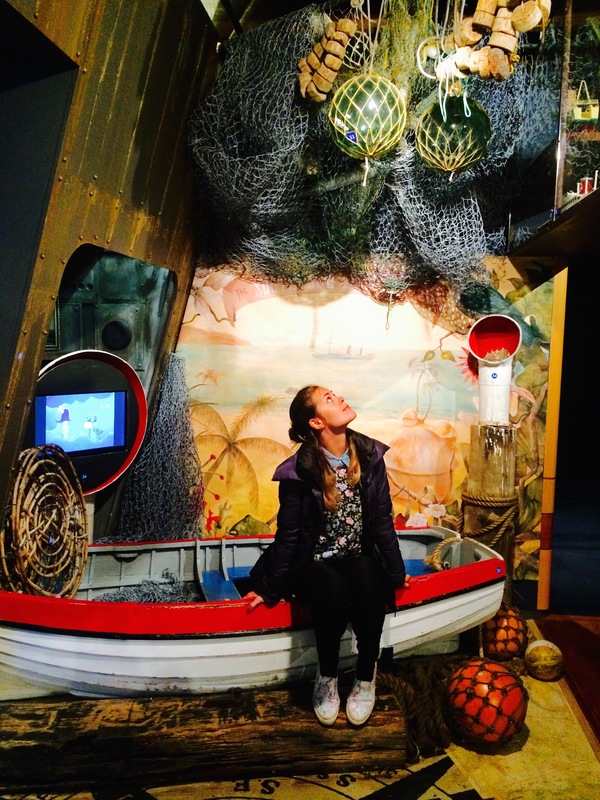 If you want to know about Te Papa prices you will be surprised: It’s free! Another informative and interesting place to visit it Wellington Museum, which was designed by architect Frederick de Jersey Clere and built in 1892. You need to buy a ticket for a low price but there are four floors in this fascinating museum sharing the social and cultural history of this cosmopolitan. For example I didn’t know that Wellington was the first city in the whole world where women were allowed to vote. It’s also a pioneer of implementing the 8 hour work day as well as establishing a set minimum wage. 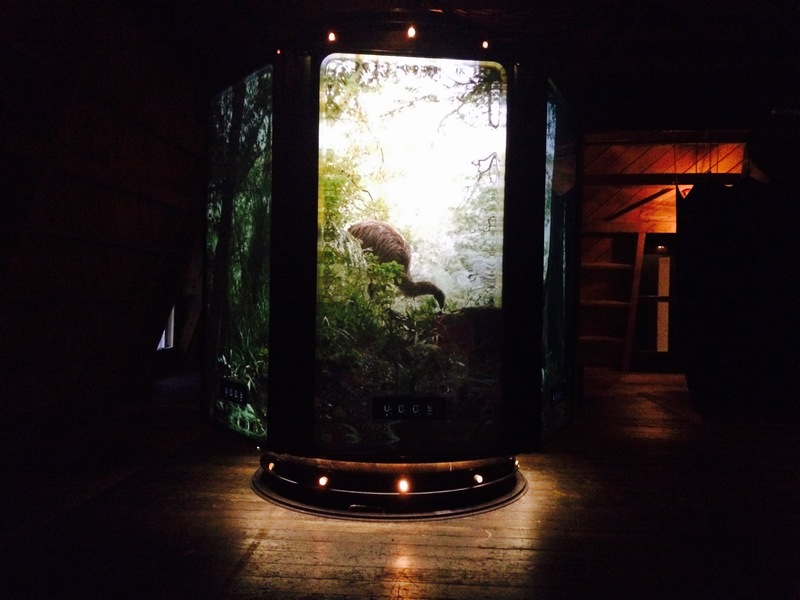 The imaginative exhibition includes various highlights like The Time Machine, which shows you the the very beginning of the universe, The Big Bang and continues with the most influential events of New Zealand’s development, i.e. the Maori landing in 925 and the establishment of a British colony in 1841. Furthermore the museum presents the maritime history of the harbour city Wellington including the dramatic story of The Wahine Maritime Disaster in 1968. The enormous ship sank close to the shore because of atrocious weather conditions and dragged 51 lives into the deep blue sea. But enough of this sad story, in Wellington museum you can also watch a spectacular holographic show about Maori myths and legends. 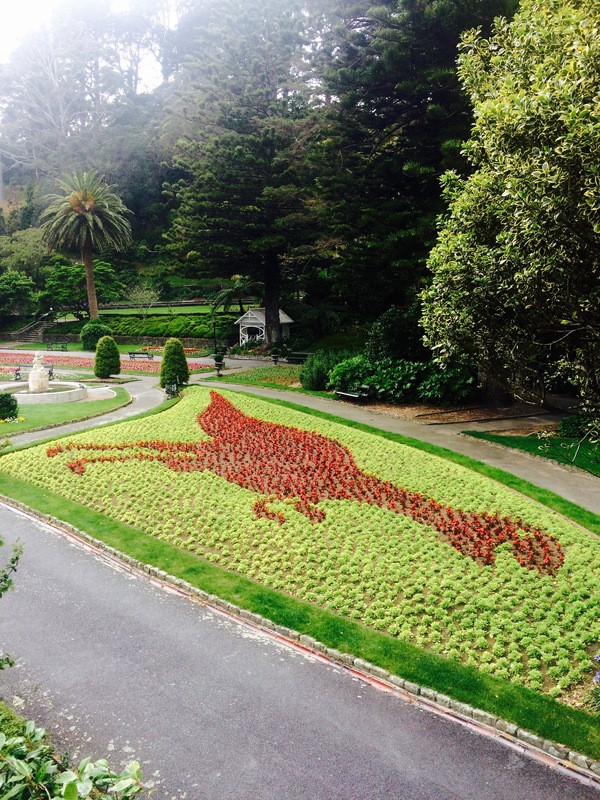 Wellington Botanic Garden is a tremendous impressive garden which is open every day from dawn to dusk and it’s free. Enjoy Botanic Garden walk and observe exotic plants and flowers from different corners of the world for free. There are extensive and well-maintained walking paths with signs leading you to the various attractions. Spend the whole day in this scenic greenery and you will discover an entertaining children’s playground, free guided tours, glow worms in the Main Garden and the Botanic Garden Café with it’s amazing view. The Wellington Botanic Garden also offers free performances and events during the summer season. 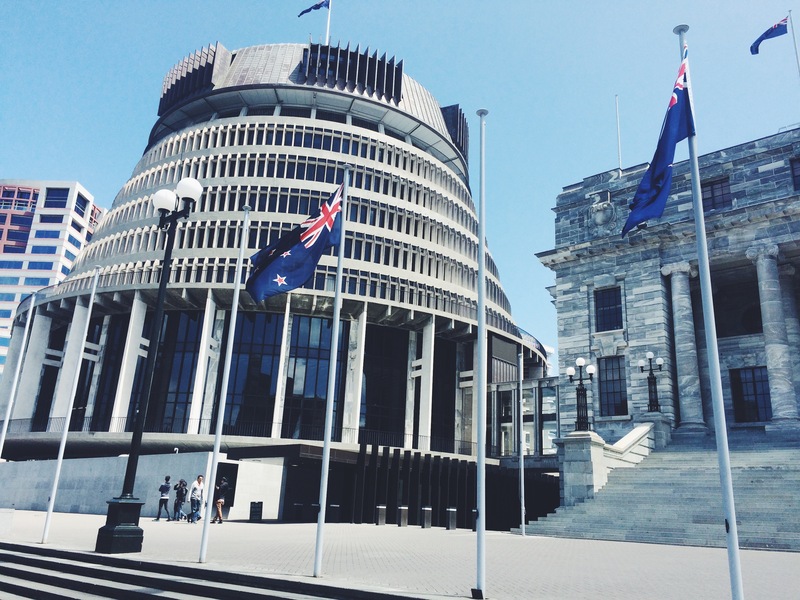 If you have a secret admiration for politics and want to know everything about New Zealand’s Parliament and government, then you should find an hour of spare time to visit Parliament and participate in their gratis tour. Parliament tour prices: It’s free! Don’t judge the book by it’s cover, the building may not seem aesthetically sensational but people who are making decisions there give their best to improve citizens’ rights. Important to mention for people who would like to stay longer or maybe even permanently in Wellington, to become a member of Wellington’s City Library won’t cost you a penny (and not only because they don’t have pennies here). Just bring your passport and proof of address and you can become one of the lovely book worms. New Zealand is famous for it’s great craft beer. Wellington is an ideal city to try the variety of craft beer from their royal city brewery, because it’s the craft beer capital home. 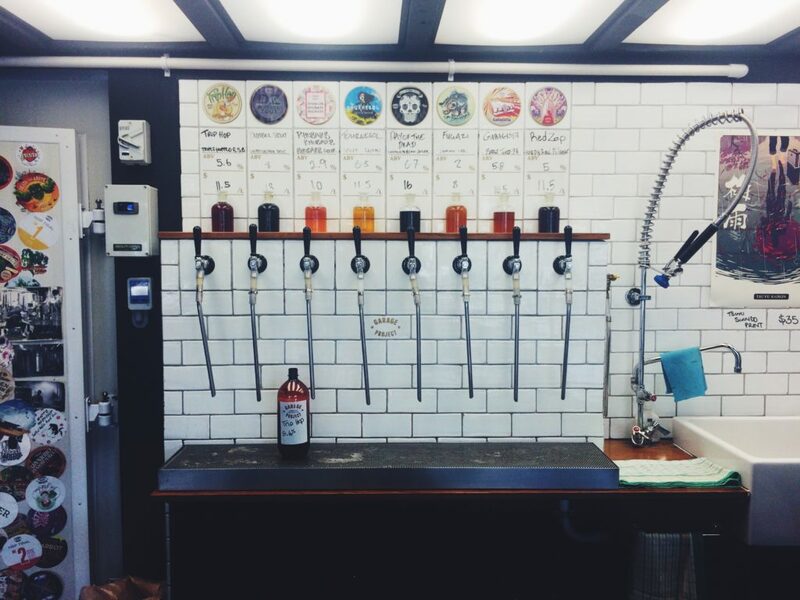 Visit the small brewery Garage Project and try their best creations on tap for free. You can also purchase your favorite one. 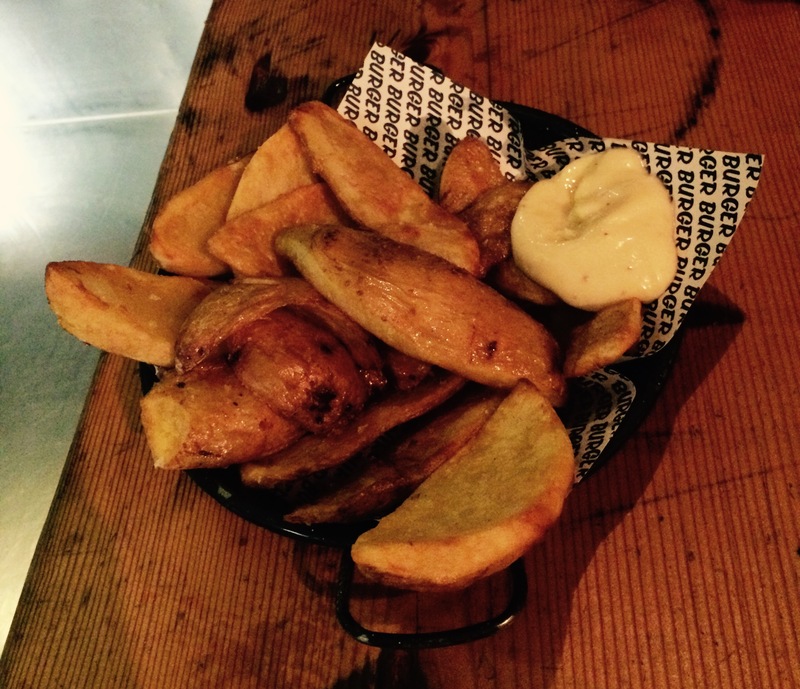 If you feel like to sit down and enjoy your beer in a cold glass then check here the list of great places to eat and drink in Wellington. 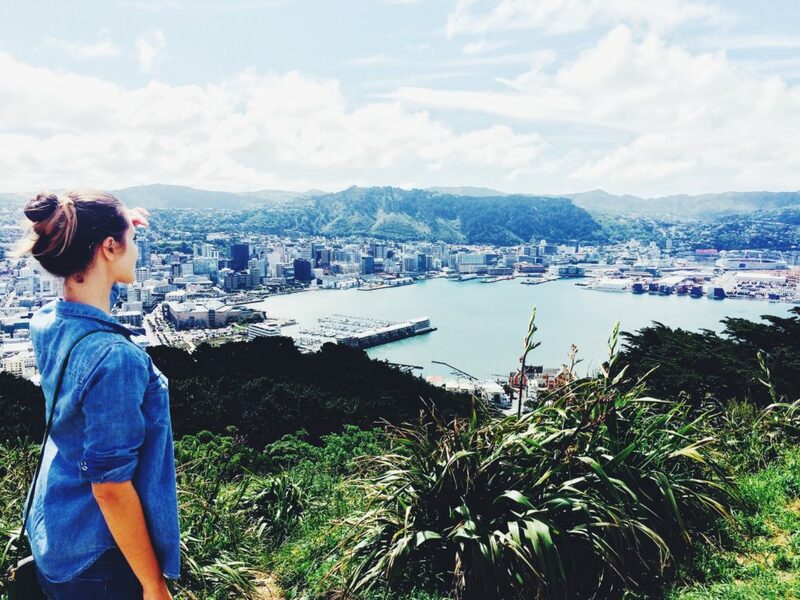 Mount Victoria Lookout is a Wellington’s must do for every traveler no matter their age. It rises 196m above the city and rewards you with stunning views of New Zealand’s capital and it’s harbour. The long but scenic way is from Wellington’s waterfront at Oriental Bay. The waling duration is around an hour. The shortest and most direct route up is from Majoribanks Street at the Eastern end of Courtney Place. It will take you around 20-30 minutes to get there. If you are not in the best shape and you prefer a more comfortable way of exploring, you can reach the summit by car. The adventurous ones can take the path from different sides. 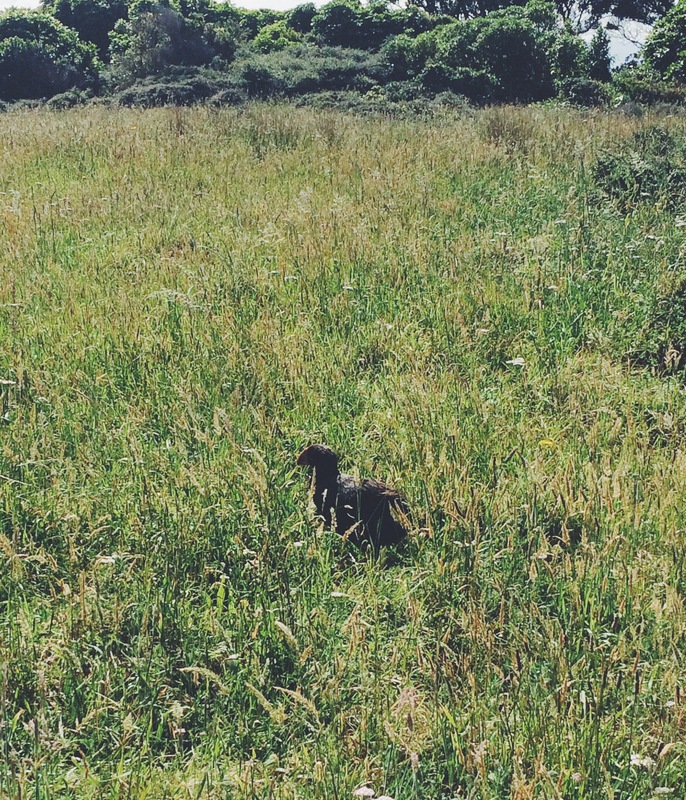 I will explain in the next paragraph why it’s better to choose Mount Victoria walking tracks. 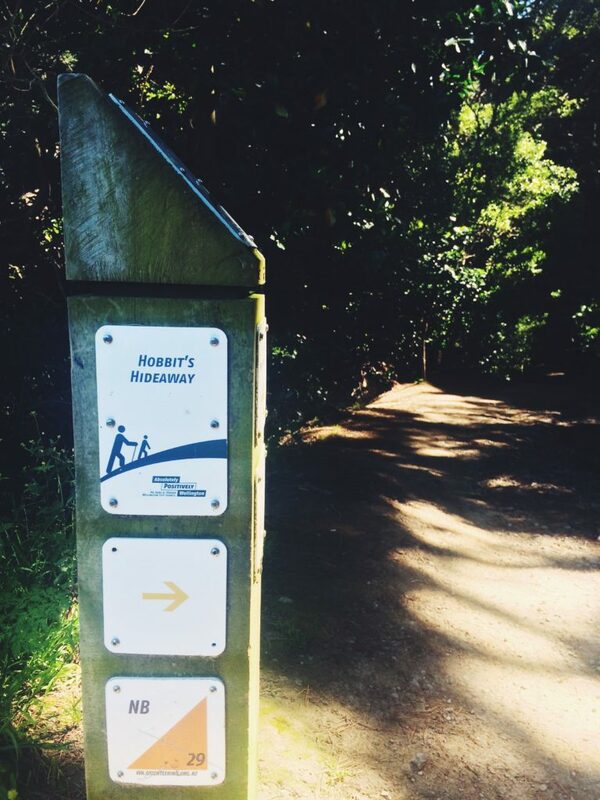 On the way to the summit of Mount Victoria in Wellington you will find signs that will lead you to the famous Lord of The Rings trails. You can do it on your own for free or ask the local. We decided to book a tour with John’s Captours and his comfortable 4 wheeler. He will tell you numerous interesting facts about the metropolis. John showed us some secret spots around the movie-making capital Wellington, where the legendary The Lord of The Rings was filmed. 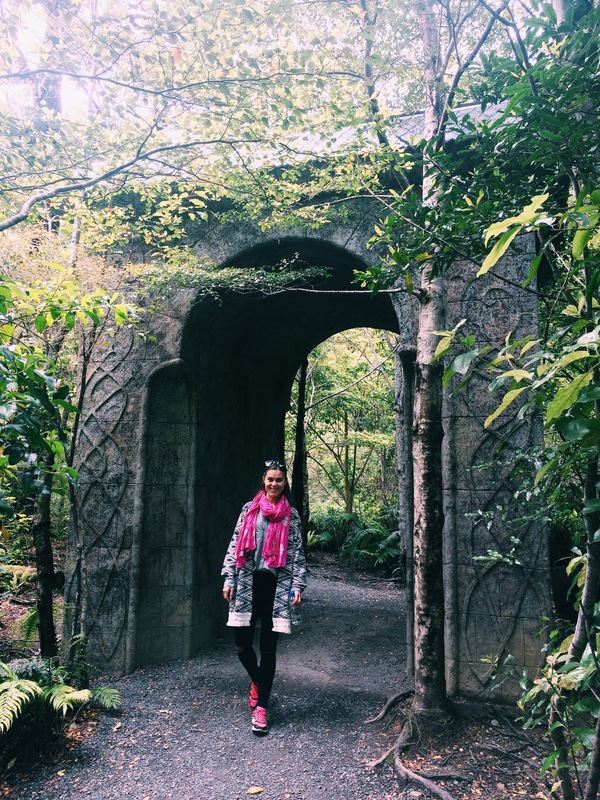 It’s a splendid experience to walk through the paths where all great actors were a part of Peter Jackson’s trilogy. 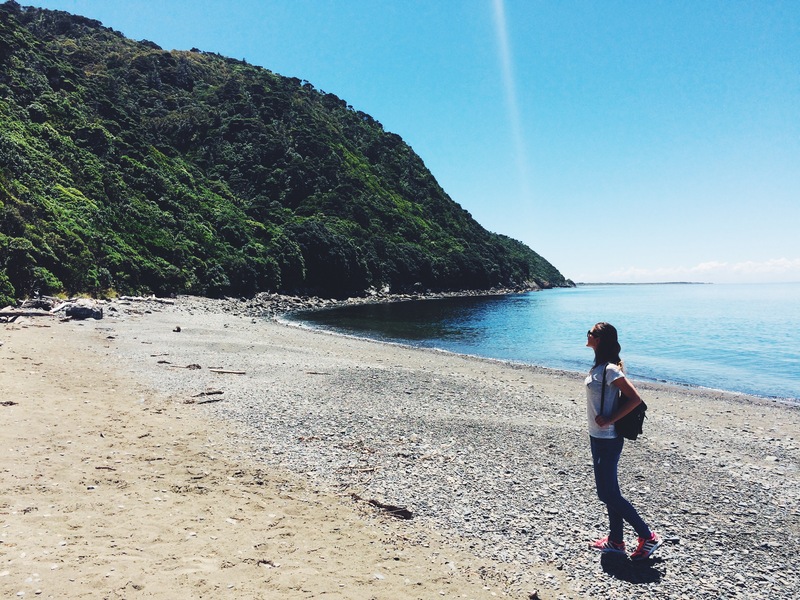 The city surprises with the beautiful and accessible Wellington beaches. On the hot day you can relax on the golden sand of the famous Freyberg Beach and even swim in the transparent blue water. Sometimes you can observe happy seals warming up their tummies in the Ocean. Another popular place is Scorching Bay Beach. Their you can even see orcas sometimes. Princess Bay is a bit further but also worth of visiting. 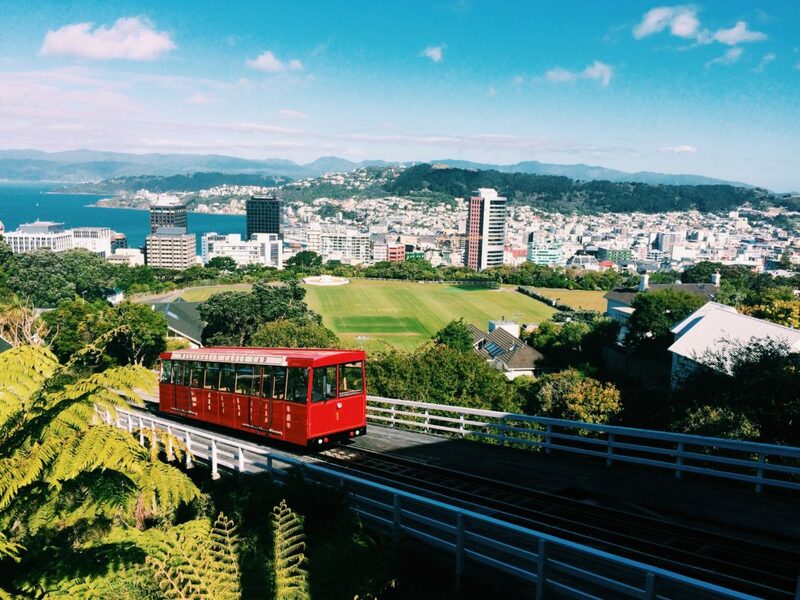 Why should you experience Wellington Cable Car? The walk through the gigantic Botanic Garden can be exhausting but creative Kiwis know how to make the life of a curious traveler easier: There is a quick possibility to reach the centre of the city in five minutes by using the funicular railway of the Wellington Cable Car. Cable Car costs are $4 one way but if you use a Snappercard, which you can get in every kiosk or night shop, you can save 50 cents. 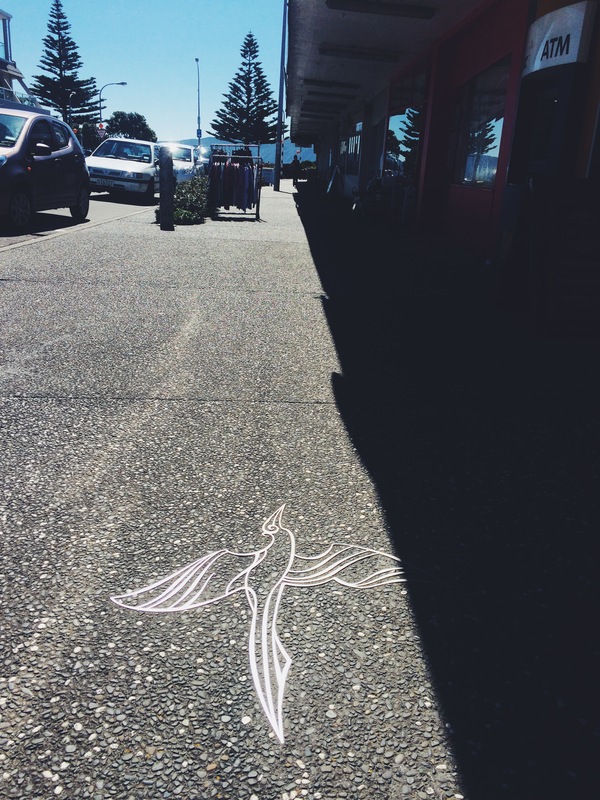 Last but not least walk down the cult Cuba Street of Wellington. It’s famous for it’s trendy cafes, vintage clothes shops, street artists and cool sculptures. One of them is the Bucket Fountain that will definitely make you wet. Cuba Street it’s a place where you can observe sometimes weird, sometimes interesting locals and maybe even make some friends. The Kapiti Coast is the name of the coastal region in the south-west of New Zealand’s North Island. It lays just 40 minutes drive or a 1 hour train journey from central Wellington. The area offers infinite beach paths of grey sand along the coast and a relaxed, quiet atmosphere of the little towns like Paraparaumu. 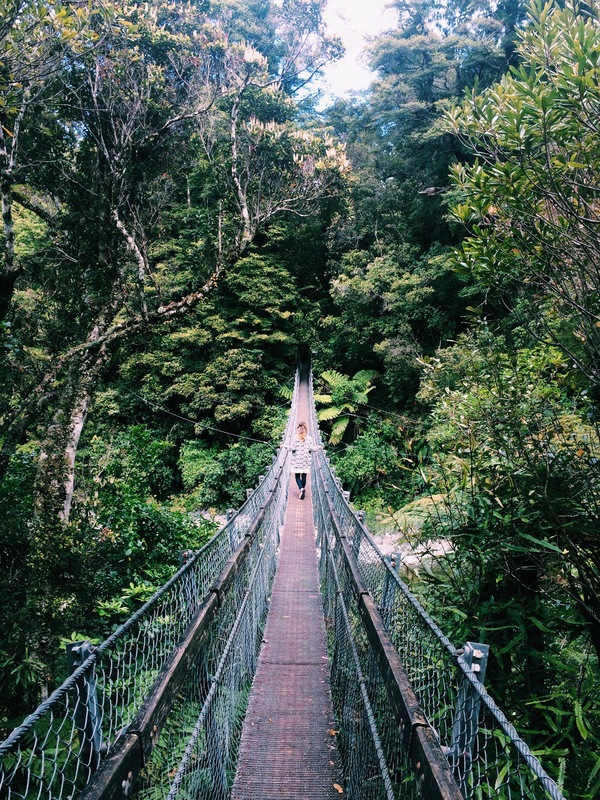 Wellington’s district is an ideal spot for travelers and locals who have an affinity for wildlife, nature and hiking. 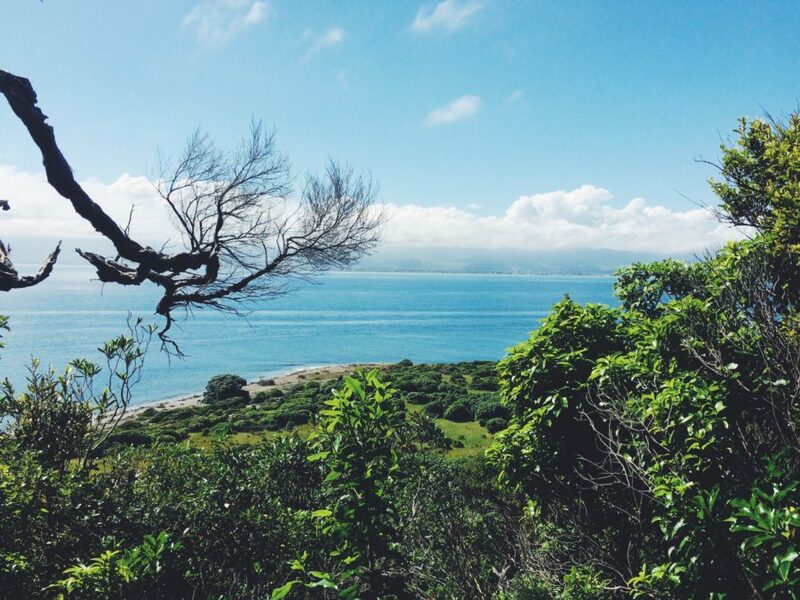 From the beach side of Kapiti you won’t miss the sight of the big Island’s silhouette across the water, it’s the main attraction, Kapiti Island. 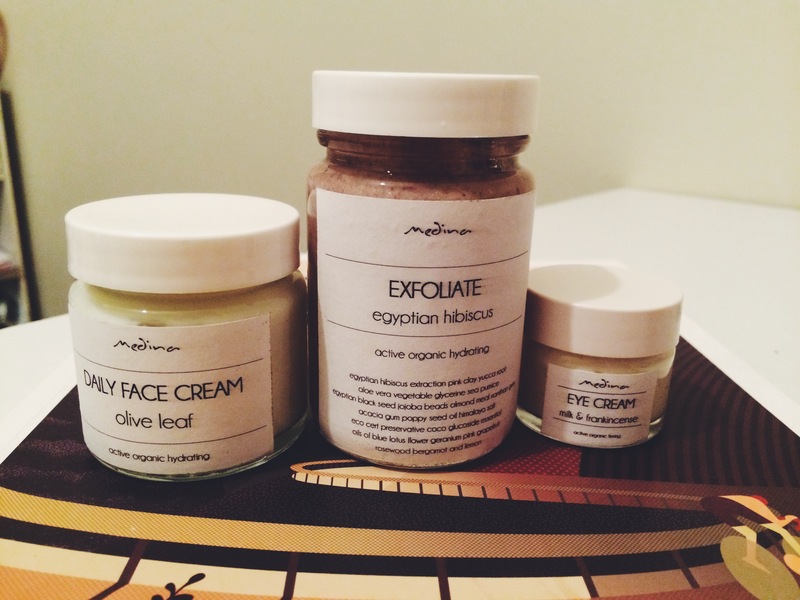 But before you decide to visit it check the essential packing list for it! 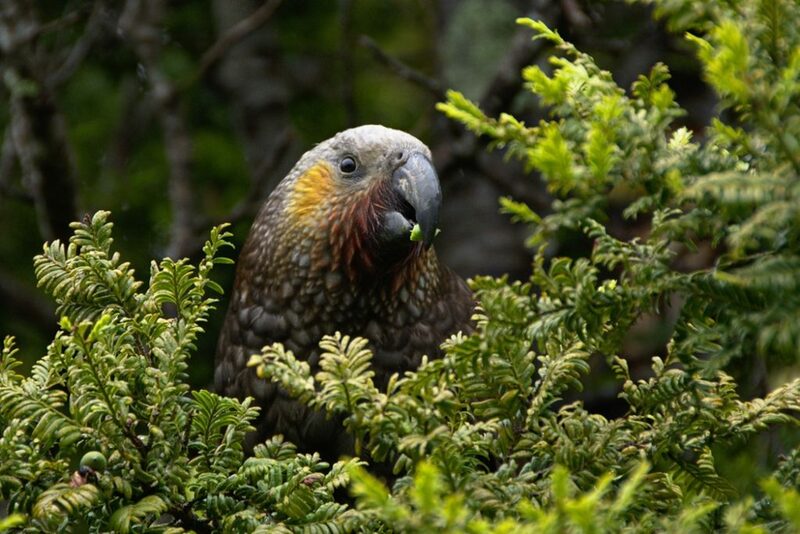 Kapiti Island is the most important sanctuary for the rare native birdlife of New Zealand. It’s also one of the few accessible nature reserves and it’s rich in history. In 1897 Prime Minister Richard Seddon introduced a bill to Parliament in order to conserve and protect the flora and fauna of the Island’s territory. So the habitat of the area has been created to keep the endangered species away from the threatening ones such as mammalian predators and pests. The government needed to use drastic methods to provide essential breeding grounds for marine animals and sea birds: 2000 goats were removed in 1928, the cats were eradicated by 1935 and over 20.000 possums were killed in a period of six years. Stunning Kapiti Island is 10 km long and 2 km wide, furthermore the amount of visitors is strictly limited, to keep outside influence to a minimum. In this world-renowned bird sanctuary you can see many endemic bird species that are already extinct on the mainland. 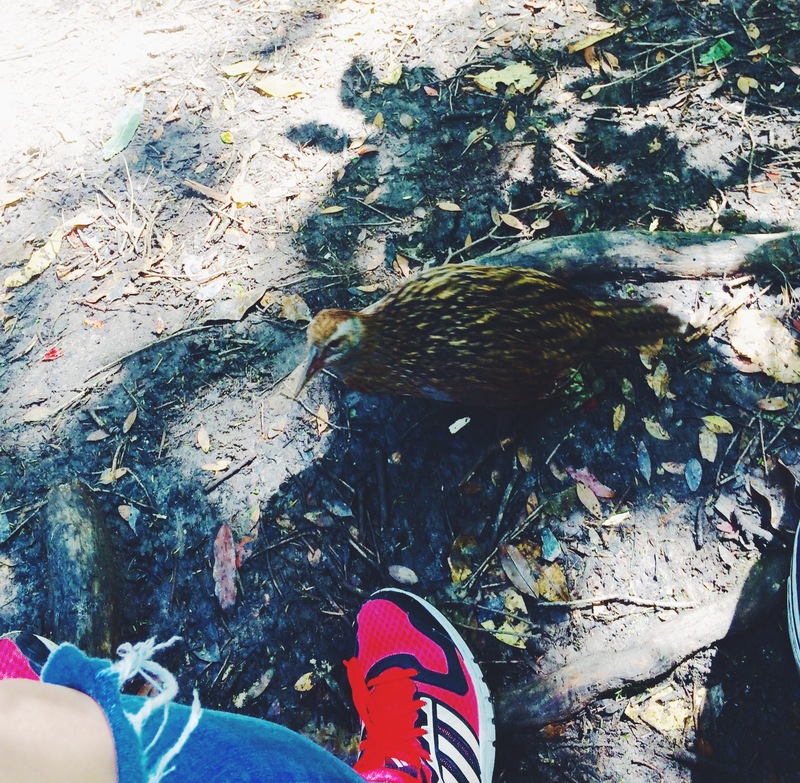 The most famous are Kaka, Weka, Kiwi, Hihi, Kakariki, Kereru and etc. There are also various tracks with beautiful paths flowing through the forest. The fittest and most adventurous can reach the summit, Tuteremoana, which sits 521m above sea level. 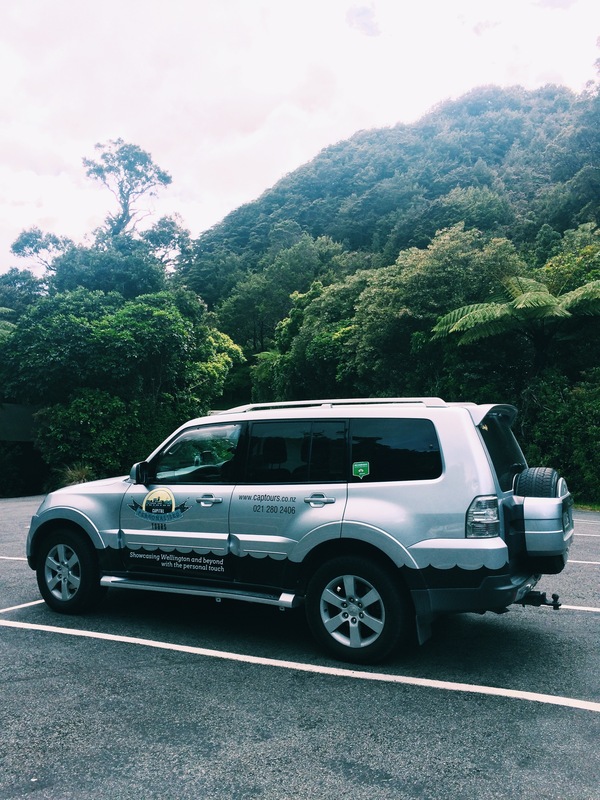 The best way to visit and to explore the unique island is with Kapiti Explorer. They offer a day trip to the sanctuary. The journey starts from the Boating Club near Paraparaumu beach at 8:45 am. If you decide to come from Wellington as I did, then you need to take a train at 6:49 which will cost you $11,50. From Paraparumu you can take bus 260. The final stop will be just a stone’s throw away from the departure spot. From there the boat will bring you to nature and bird lovers’ paradise. 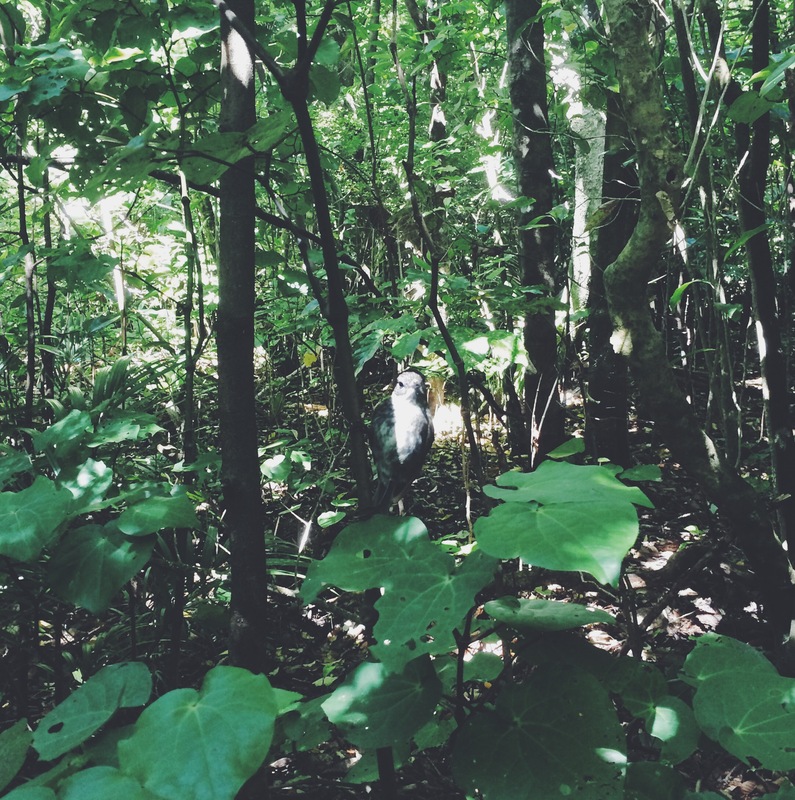 I would definitely suggest to book a guided tour to learn how to identify the rare species of New Zealand and to discover the secret nests of various birds like the cute little blue Pinguin, whom is living deep in the forest of this sanctuary. Acquiring this precious knowledge will cost you a mere $12 per person! After a long day of exploring the island and getting to know various bird species you will arrive back on the mainland probably very hungry. Anyway this is what happened to me and luckily I discovered a cozy little beach restaurant Marine Parade Eatery on the main street, 50 Marine Parade. It’s the only restaurant in Paraparaumu which has an amazingly colourful and modern design with a big passion for lovely details. You can also enjoy the view of the sea and relish the warmth of the sun from the restaurant’s terrace. 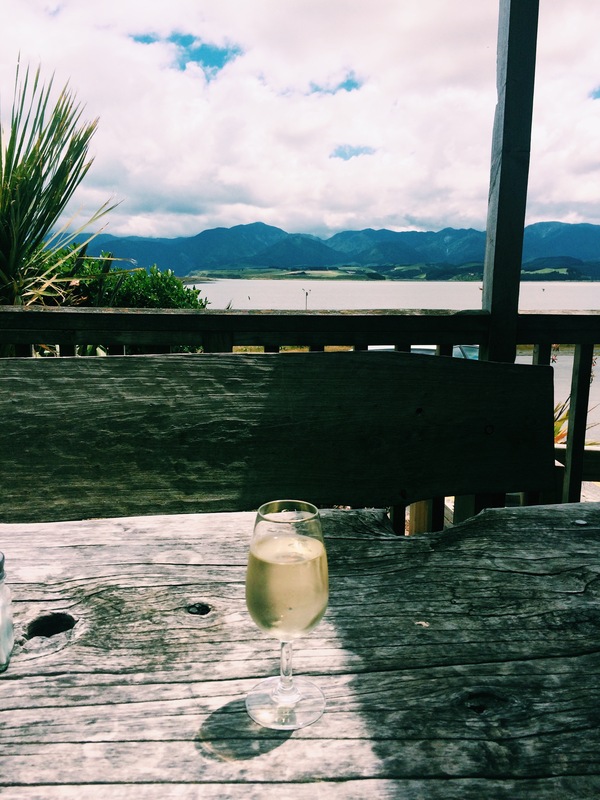 And if it’s too hot outside which can doubtlessly happen during the summer period, try one of their refreshing New Zealand made streaming soda drinks. Marine Parade Eatery is a perfect place to savor a delightful bagel with a cup of energizing coffee for breakfast or have a marvelous lunch or dinner served with magnanimous portions of delicious healthy food. 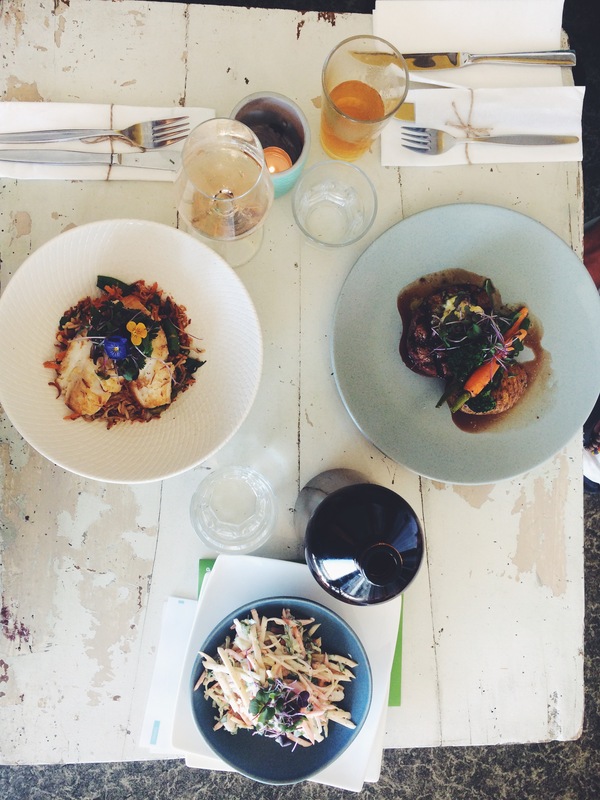 Every treat is unexpectedly tasty in this little gem of Kapiti, whether it’s the chocolate cake or one of the main courses. The friendly and smily staff will help you to find the perfect choice for you and even if you would like to alter your meal the chef will be more than happy to accommodate your wishes. Additionally Marine Parade Eatery makes all kinds of customers happy: Vegetarian, meat addict, seafood junky or sweet like sugar. We ordered seared beef fillet with blue cheese and anchovy butter, duck fat potatoes buttered baby carrots and broccolini and red wine jus for $34, pan fried fish with edamame, snow pea, peanuts, coriander, chili and miso dressed soba noodles for $32 and last but not least macadamia nut and swede coleslaw for $10. The food is divine and the coleslaw salad was the best salad that I’ve ever tried: The incredible combination of roasted macadamia nuts and yoghurt mixed with garlic dressing let us reach culinary heaven. The fish and meat were done on point, juicy and full of flavours. I enjoyed my meal with a glass of French Les Embruns Rose, which was a terrific choice. The beef fillet went well together with the cold beer of the day: The Garage Project pilsener. 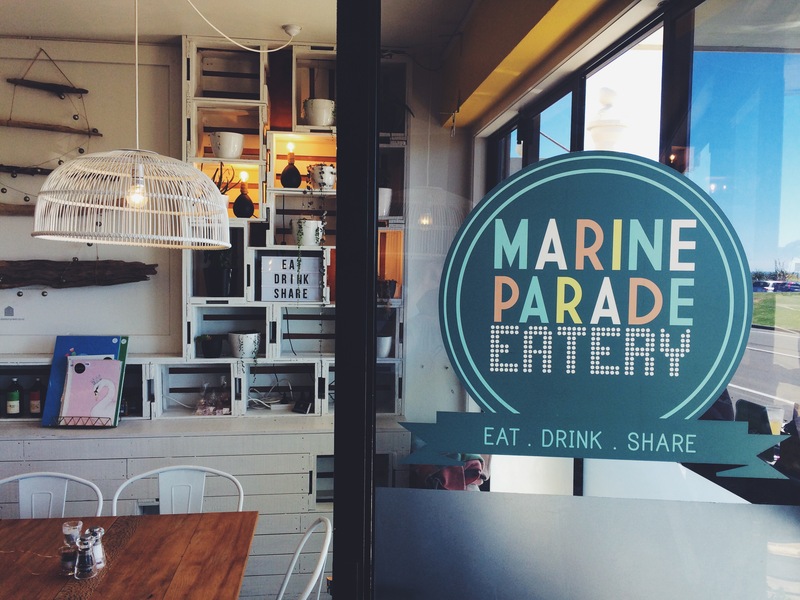 I would highly recommend to stop by Marine Parade Eatery and experience memorable culinary magic. Just be aware of the opening hours if you want to go out for dinner, it’s only possible on weekends after 5pm. Moreover every Sunday from 3:30 pm your exquisite meals will be accompanied by live music (and hopefully good weather!). 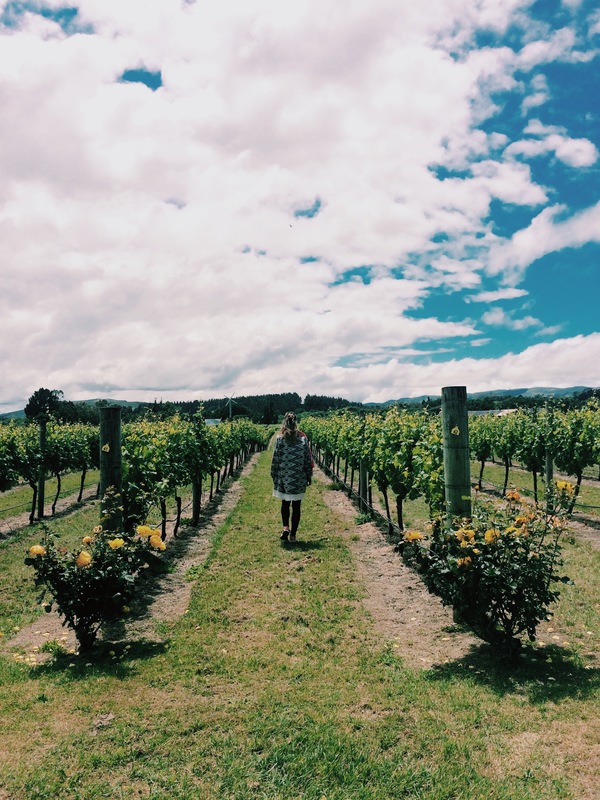 If you are planning to visit the South Island of New Zealand too here are some awesome tips! 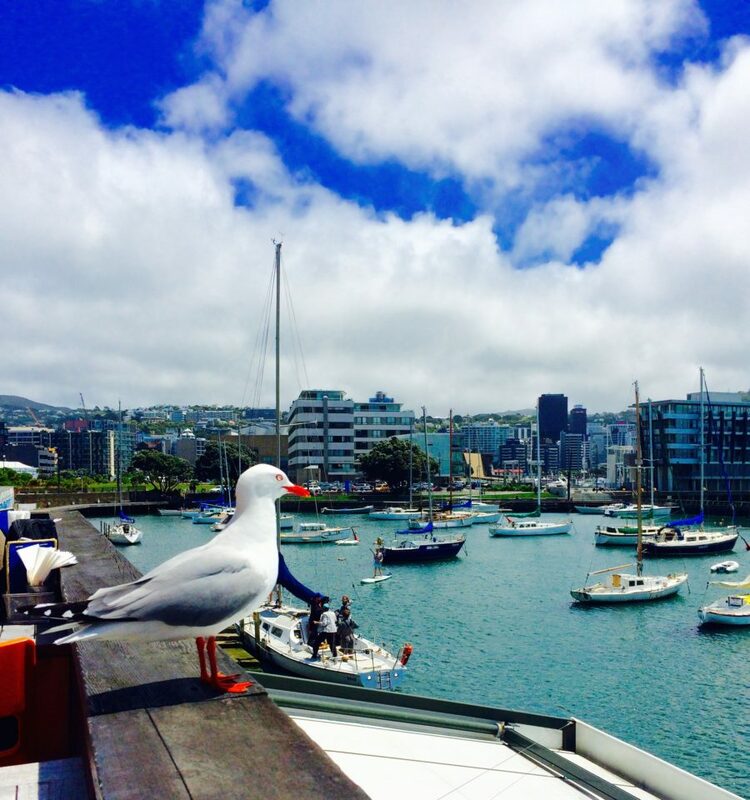 There are various possibilities to follow itinerary and spend a perfect 1 day in Auckland. Very often mistaken for a capital of New Zealand, Auckland is the most populated city in New Zealand. It’s famous for it’s two natural harbours, busy CBD occupied by tall skyscrapers and surroundings filled with magnificent landscapes. It’s a perfect stopover and smooth introduction to the country before you start your long adventure through the land of Tolkien’s mystical creatures. 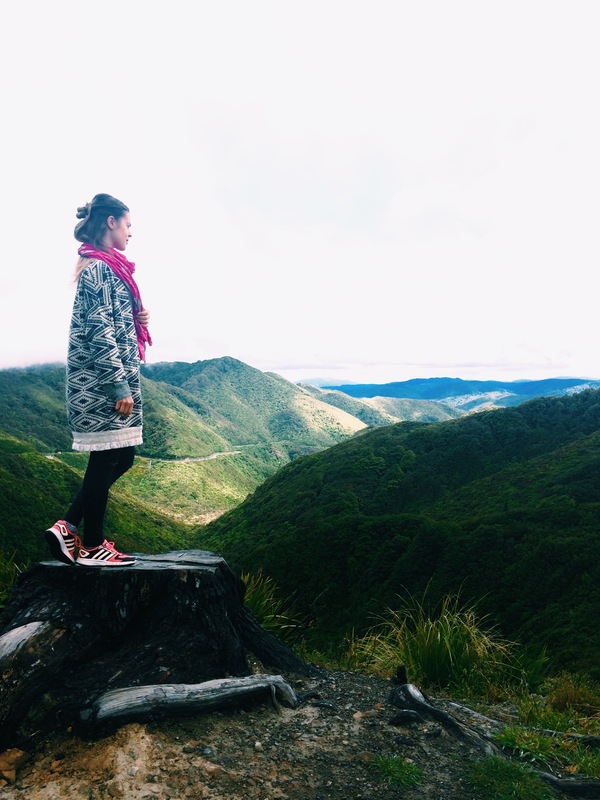 But before you decide to visit New Zealand check the essential packing list for it! When you arrive in Auckland don’t expect to experience the vibrance of big cities such as Sydney, New York or any other great metropolis. The prices for rent are unreasonably high, so if you are planning to stay a bit longer in New Zealand my advice don’t stay too long in Auckland. Additionally obesity has become a huge problem in the whole country, that’s why be prepared to see plenty of enormous people. Nevertheless it’s worth to stay one or more days here and explore the thriving and accessible beauty of nature. Auckland is perfect as a base to travel to other places in New Zealand like Christchurch, Wellington, Dunedin and Queenstown. 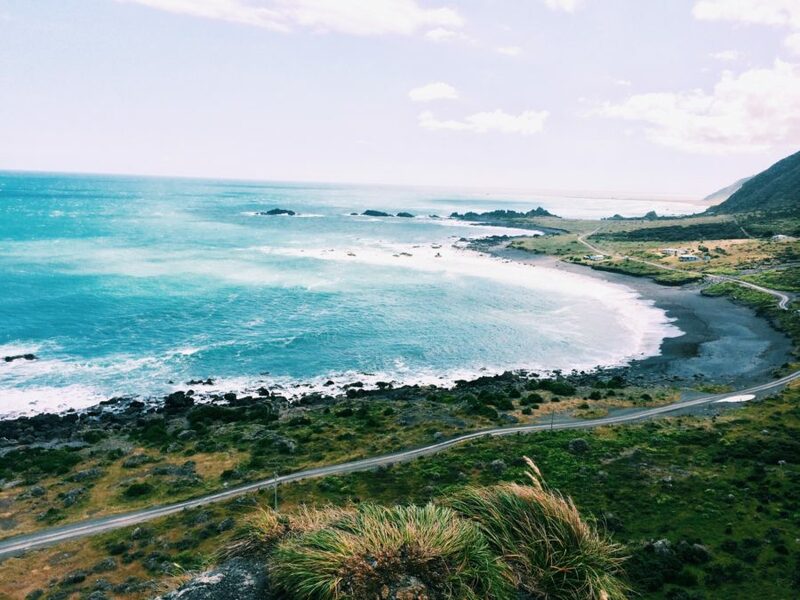 But you can also use various bus operators such as Kiwi Experience to start your tour from Auckland and explore the best of North Island. It’s very easy to navigate in the city and public transport can bring you to the main attractions of the town. Kiwis who live in Auckland prefer to drive everywhere with the car though because the bus connection still needs some improvement. Another great way to get to know the best of Auckland in a most comfortable way is to get a ticket for the hop on and off bus. 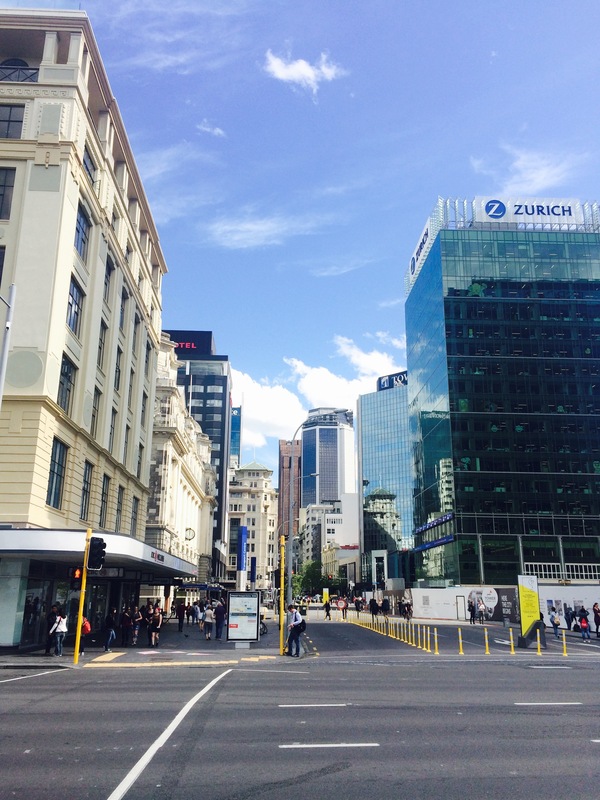 As I mentioned before that bus connection in Auckland still needs some improvement that’s why I recommend finding accommodation in the heart of the city or Central Auckland. Suburbs can be boring and buses don’t always run late. In my opinion the best hostel with a private room in Auckland is YHA Auckland International.It’s clean, spacious, offers 2GB free Wi-Fi per day and is very close to the centre. Another great hostel which is a bit further from the heart of Auckland but the cheapest option in the city is Haka Lodge. Free Wifi throughout the hostel and the rooms are tidy with big windows. For those who love movies will be happy to hear that there is even a mini-cinema in the hostel. 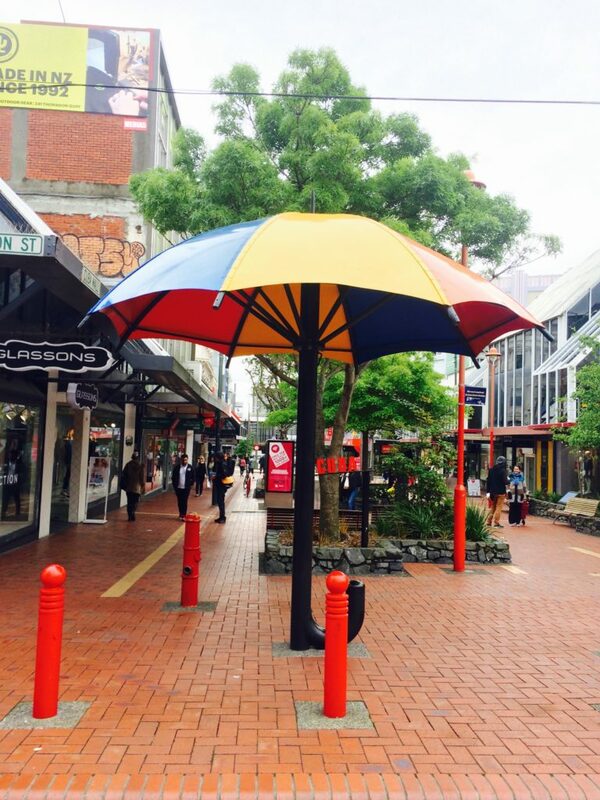 For our first Auckland in a day itinerary, we will start from Auckland city itself. Here you can find the main signature of Auckland: 328 meters tall and 20 years old Sky Tower, located in the heart of the city. You can not only only observe the beautiful building from every corner of the metropolis but you can also enjoy different kinds of attractions. The adrenaline junkies can do SkyJump or SkyWalk, foodies can taste exclusive meals in the restaurant placed on the base of the complex and Instagram-fans can take overwhelming pictures from 220 meters high above ground level, for a decent price of course. It’s hard to believe but there are plenty of interesting activities that you can experience without paying a penny for it. One of them is movie time in Silo Park, across from the Viaduct Harbour, during the summer months every Friday or Saturday. There you can immerse into a relaxed afterwork atmosphere of the city and taste the goodies of the night market. If you love art then you definitely need to visit Auckland Art Gallery after you strolled through Albert Park. You will be charged for temporary exhibitions but general admission is free. In Auckland Museum you will get an education about New Zealand gratis but only if you have a proof of an Auckland address. Otherwise you need to pay 25$. 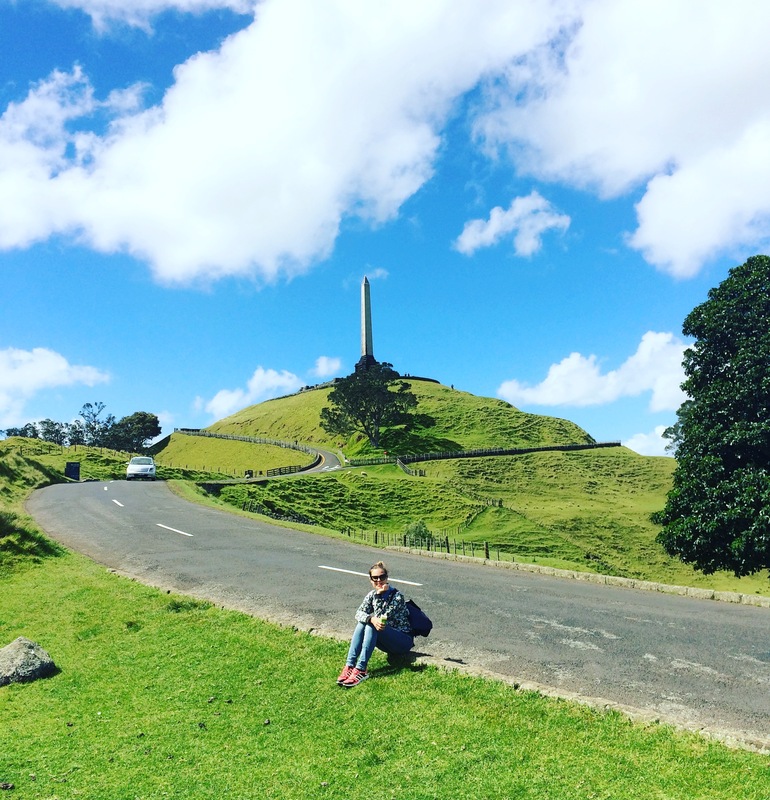 To spend 1 perfect day Auckland you should definitely explore wide tranquil green spaces and see the typical countryside scene of New Zealand filled with numerous cute sheep. Visit Cornwall Park, the largest area of parkland in Auckland city. In the 18th century the area was the centre of the Maori occupation. It’s very easy to get to Cornwall Park, you just need to take the bus 309, 302 or 312 direction Mangere or Onehunga from Queen Street. It takes around 30 minutes to get to the location and then you are free to explore the green surroundings. 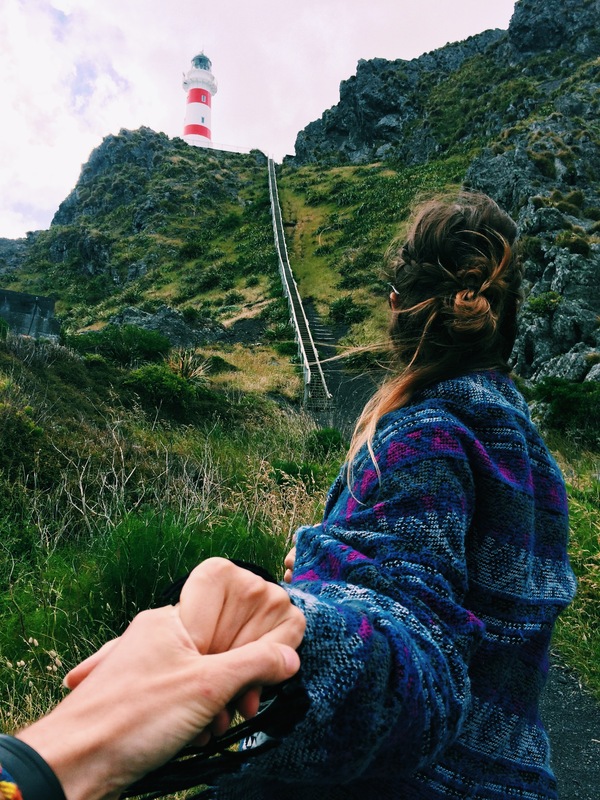 Follow the path and you will reach One Tree Hill Domain located on one of the metropolis’s volcanos. To reach the top of the hill will be challenging but in the end you will be rewarded with a fabulous city view from the summit. 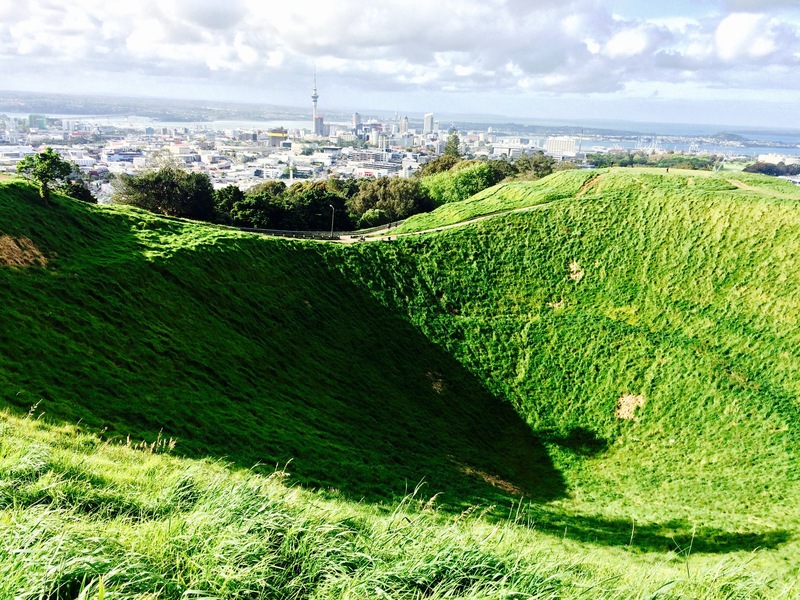 Another pride of the big city Auckland is the 196 meter high dormant volcano enclosed with magnificent hiking trails, carrying the name Mount Eden or Maungawhau. If you had enough of walking but you want to reach the summit with the deep crater then you can also go by car or even shuttle bus. From the top of the hill you can enjoy a fantastic 360-degree view of the city and it’s harbours. 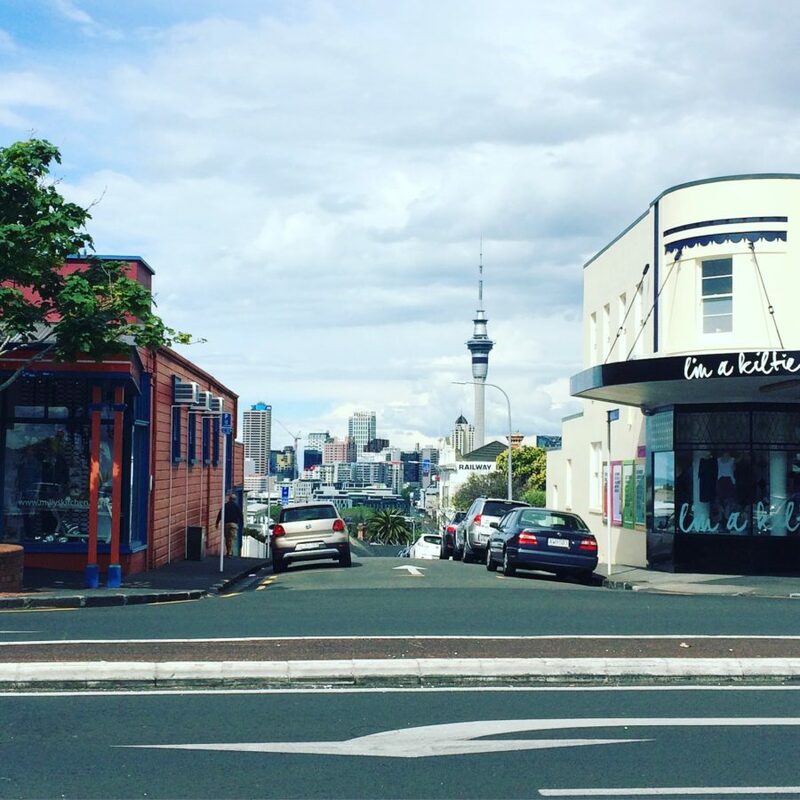 You can reach Mt Eden by taking a bus number 274 or 277 from Downtown Britomart every 15 minutes. Just don’t forget to wear very comfortable sport shoes to admire the nature without suffering. Ponsonby is a posh and well-known suburb in Auckland. Just minutes away from central Auckland, it offers great boutiques with amazing shopping experiences and in the evening you can taste from high end restaurants to the freshest fast food. If you are very hungry visit Burger, Burger. 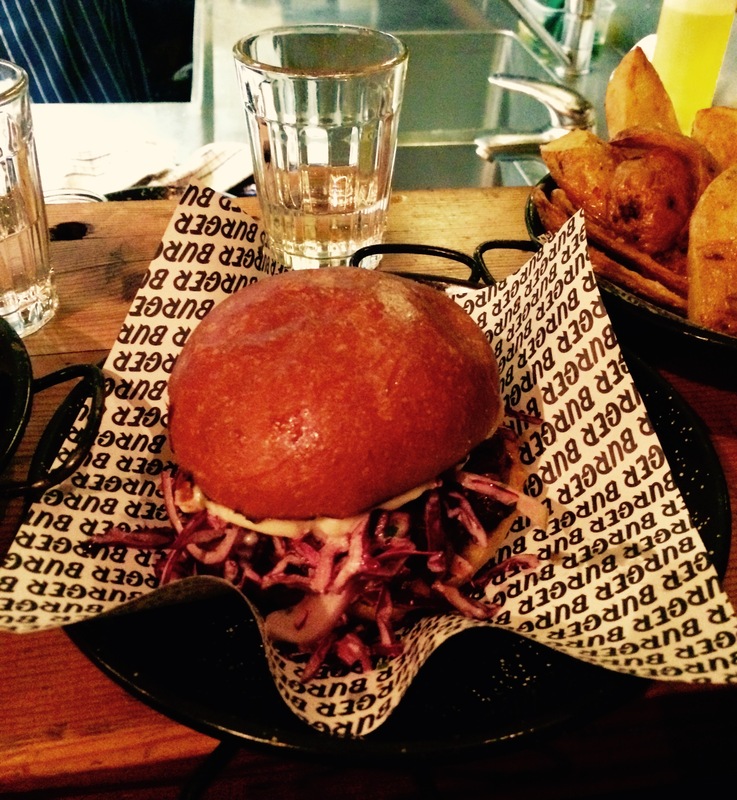 The service and vibes are amazing at that place and most importantly the food is delicious. Additionally the portion of the sides are tremendous. For little money you will be fed and happy! Don’t forget to visit the capital of New Zealand: The charming Wellington! More about it you can find here.